Hey guys! Happy Friday! 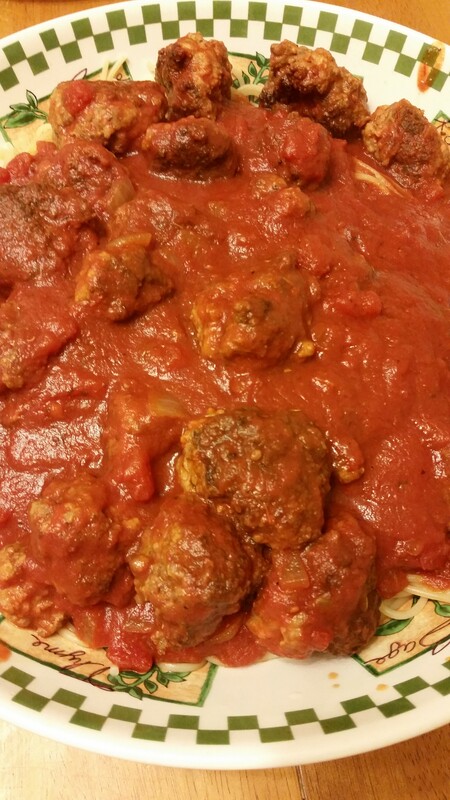 Yesterday I ran to the store after work and picked up the ingredients for spaghetti and meatballs. Lizzie has been asking for this for a few days, so I figured I would honor her request. This was a pretty simple recipe. I usually just make them with just beef, but this time I spied some mild ground Italian sausage, so I thought I might change up my normal recipe and use 2 meats. Perfection! I hope you give it a try next time your family is craving meatballs. It is SO much better than those frozen ones. My family raved about them, and I got 5 sets of thumbs up for this meal! You could even add in some chopped parsley if you have it. Start by adding your chopped onion to the pan you cooked your meat in. Cook that for a a few minutes. Then add your garlic,mushrooms, and tomato paste. Mix until combined, about 2 minutes. Then add in your wine. Scrape off all those brown pieces on the bottom of your pan. Add in all your tomatoes, Worcestershire, sugar, and herbs. Mix well. 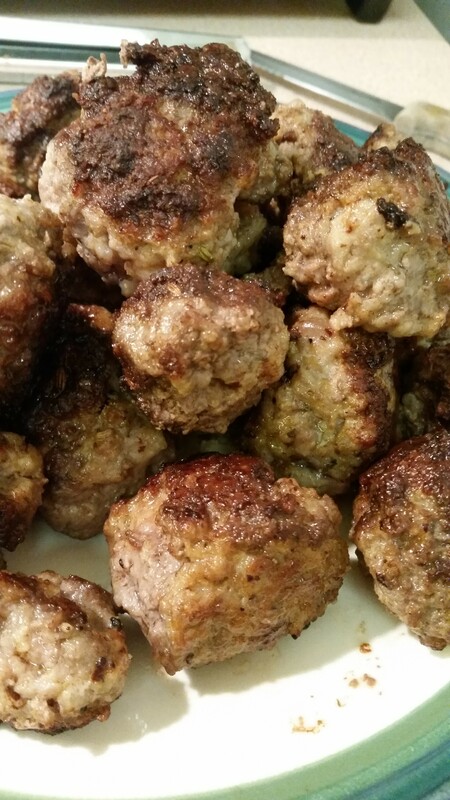 Add your meatballs back in. Cook until meatballs have cooked through and your sauce is hot, about 20-30 more minutes depending on the size of your meatballs. 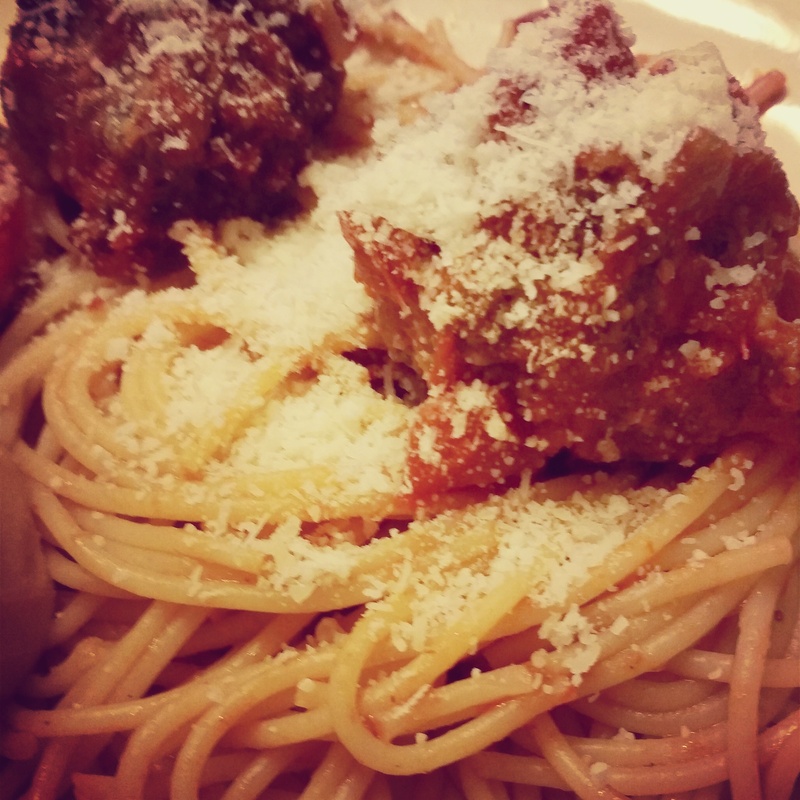 Perfect over spaghetti!